Manila, Philippines - Department of Health (DOH) Secretary Enrique Ona on Saturday, April 19, 2014 said that the male Filipino nurse who was tested positive for the new deadly virus Middle East Respiratory Syndrome Coronavirus (MERS-CoV) in Abu Dhabi was tested negative 10 days after the testing date in UAE. The Filipino nurse who was recently arrived in the country for the Holy Week was named by DOH as the Index Passenger of Etihad Airlines flight EY 0424. The flight arrived at the Ninoy Aquino International Airport (NAIA) last Tuesday afternoon, April 15. Task Force MERS-CoV and the Research Institute for Tropical Medicine (RITM) conducted retest on the suspected carrier of MERS-CoV last April 16. Ona pointed out that the time he was traveling from Abu Dhabi to Manila last Tuesday, 15 April - a seven-hour flight -he was still deemed a positive carrier of the MERS-Corona Virus, and that all of his fellow passengers were exposed to him, including any number that may been in close contact with him for the duration of the flight, were at risk of infection. The Index Passenger is one of the more than 400 passengers of that flight, including 45 foreign nationals. 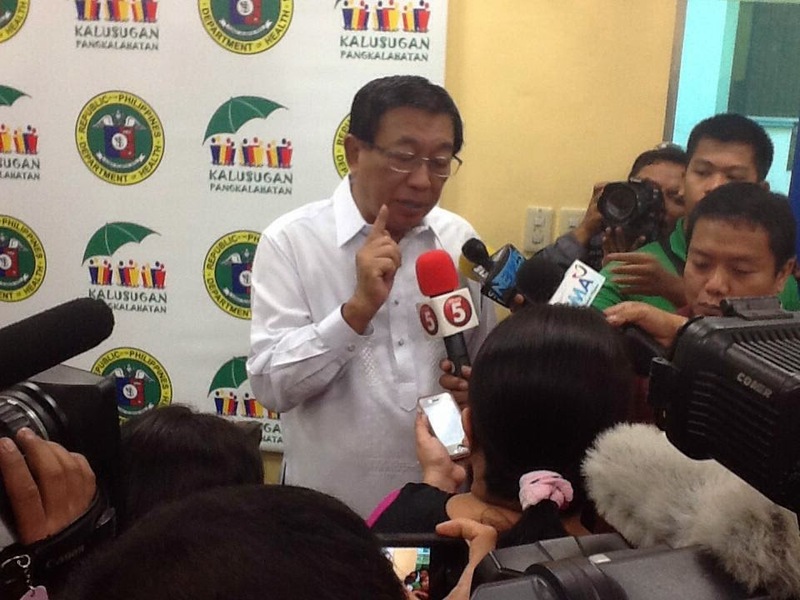 DOH said they were able to track him while he was on his way home and requested his relatives and well-wishers to subject themselves to testing and medical observation at a DOH regional hospital. "Of the 415 passengers of EY 0424, we have been able to trace and contact 119 of them. Of those contacted, 72 have been tested; 40 of those tested yielded negative results," Secretary Ona said in the press statement. "We are greatly encouraged by the negative results obtained on the Index Passenger and all other passengers that have been tested. ", Ona added. The Task Force MCV will continue to trace and contact the other passengers of EY 0424. Those contacted will be fetched by the Regional Epidemiology Service Unit and brought to the nearest DOH or District Hospital. Specimens from tested passengers are then sent by courier to the Research Institute for Tropical Medicine (RITM) in Muntinlupa City and in Vicente Sotto Memorial Medical Center (VSMMC) in Cebu City. Ona also clarified that there is still no epidemic or outbreak of MERS-Corona Virus in the Middle East or the Arabian Peninsula. That is why the World Health Organization (WHO) has not imposed travel restrictions to and from the Middle East. As a health precaution, Ona approved the issuance of a Bureau of Quarantine alert bulletin to those travelling from the Middle East and through our international airports so that those who may be affected by the MERS-Corona Virus will be given prompt assistance. 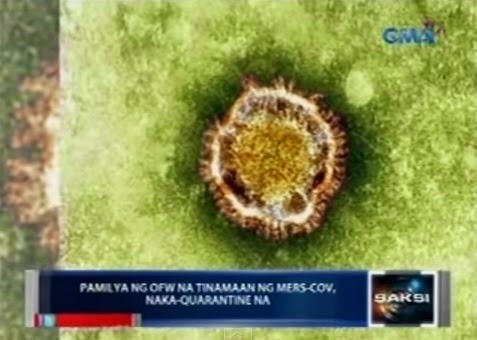 "As there are tens of thousands of Filipinos working in the Middle East and hundreds of them who travel to the Middle East or return home from their jobs there daily, it is important that their families, relatives, friends, neighbors and all members of their local communities fully understand all that must be known about MERS-CoV," Ona emphasized. DOH is calling the attention of Filipinos who have returned recently from the Middle East to report to the nearest hospital if they experience symptoms of the MERS-Corona Virus which are similar to the indications of flu, including fever with cough, cold, or sneezing.